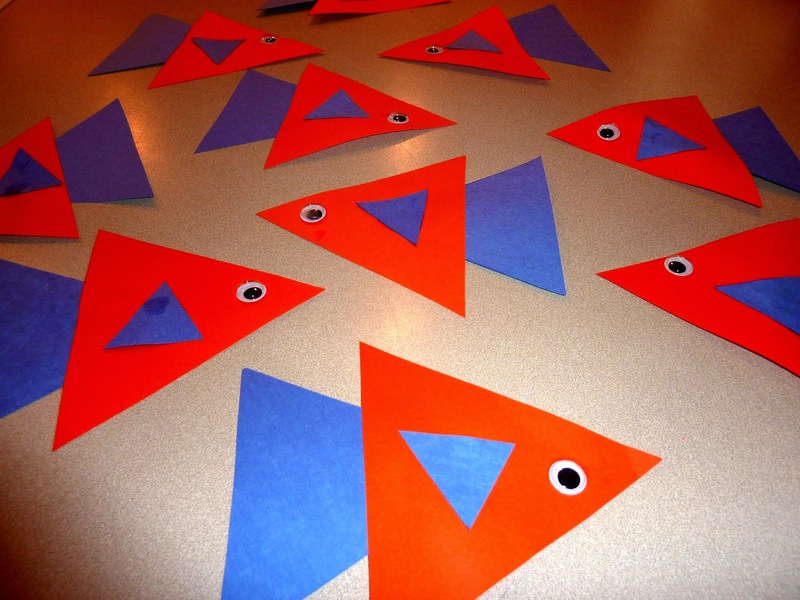 All you'll need for this craft is: Two or three colors of cardstock cut into 3 sizes of triangles, glue & wiggly eyes. Glue the medium triangle on the back of the large triangle. 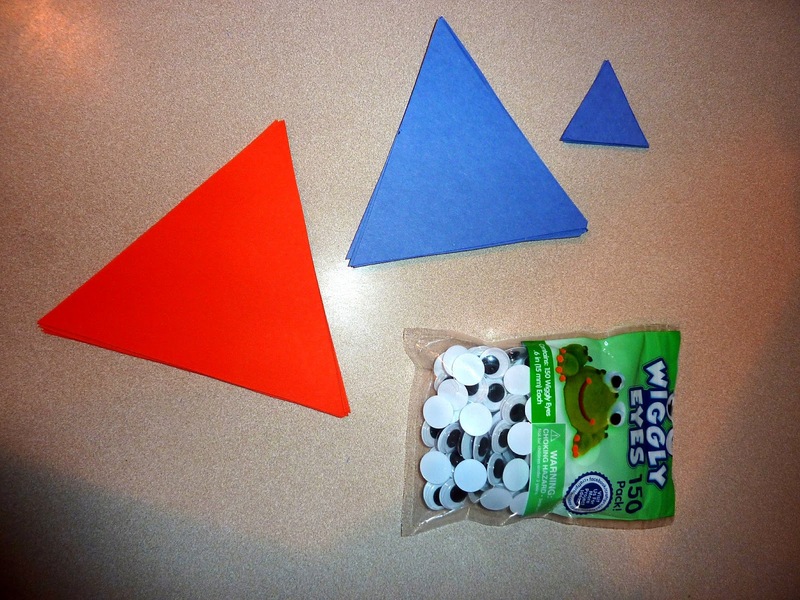 Glue the small triangle & the wiggly eye on the front of the large triangle. Voila! 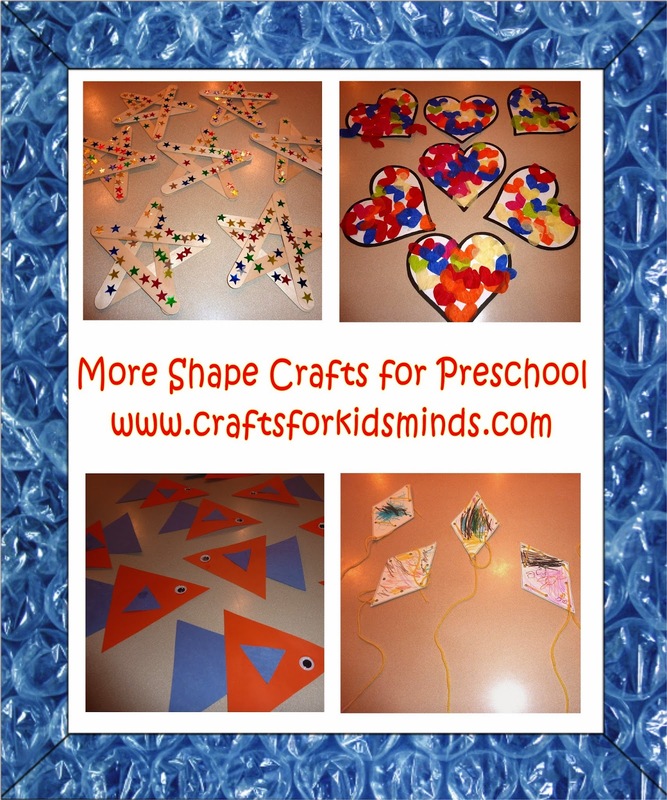 Cute triangle fishes that preschoolers can be proud of! Teacher prep... 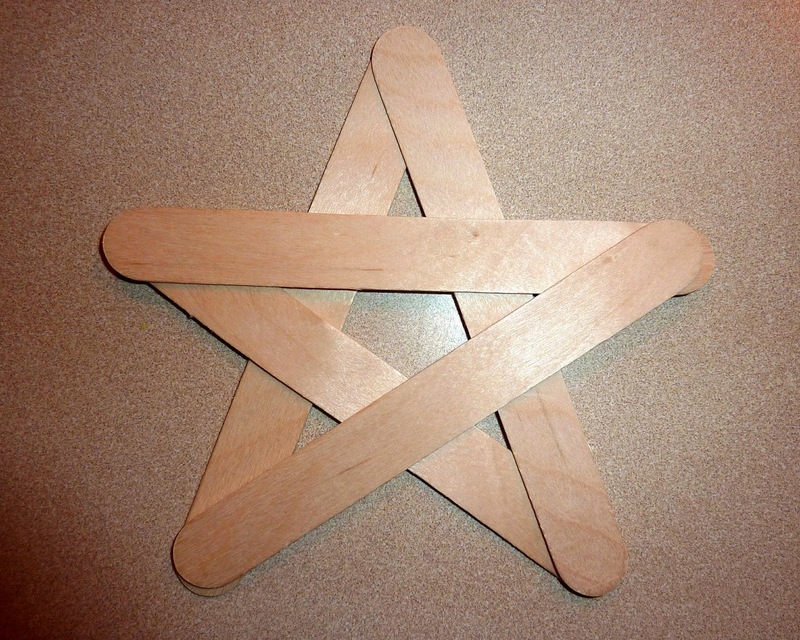 Hot glue 5 sticks together to make a star. 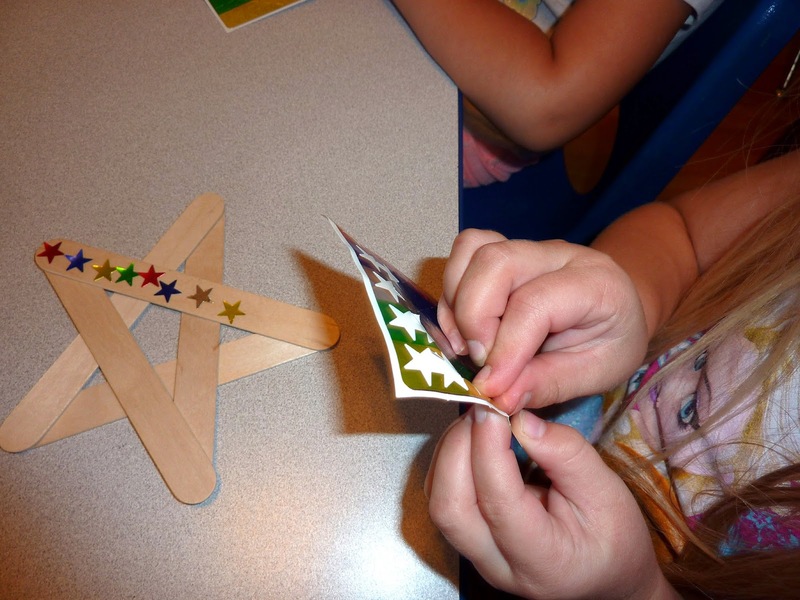 Give the children a page of star stickers & let them stick! Stickers are an awesome way to strengthen that pincer grip. 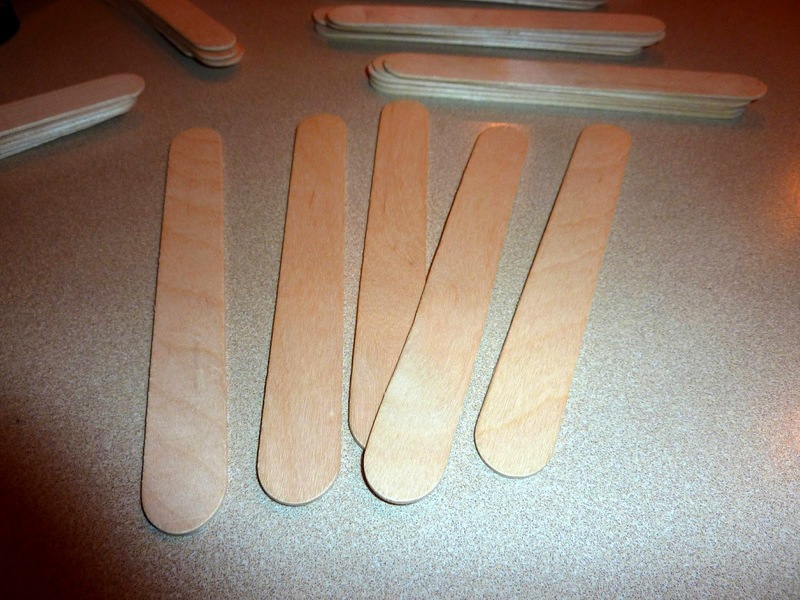 This is a very simple, and beautiful craft. 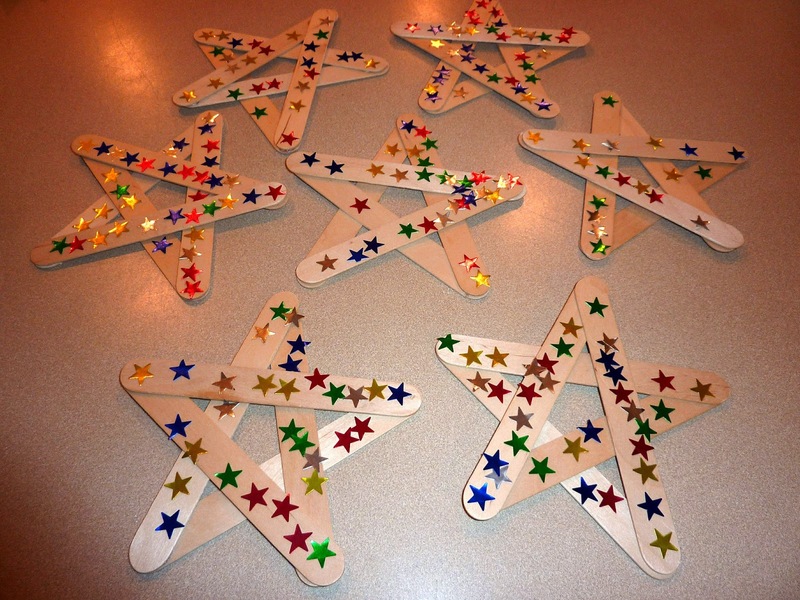 I use the same star sticks during the Christmas season to make glitter stars. 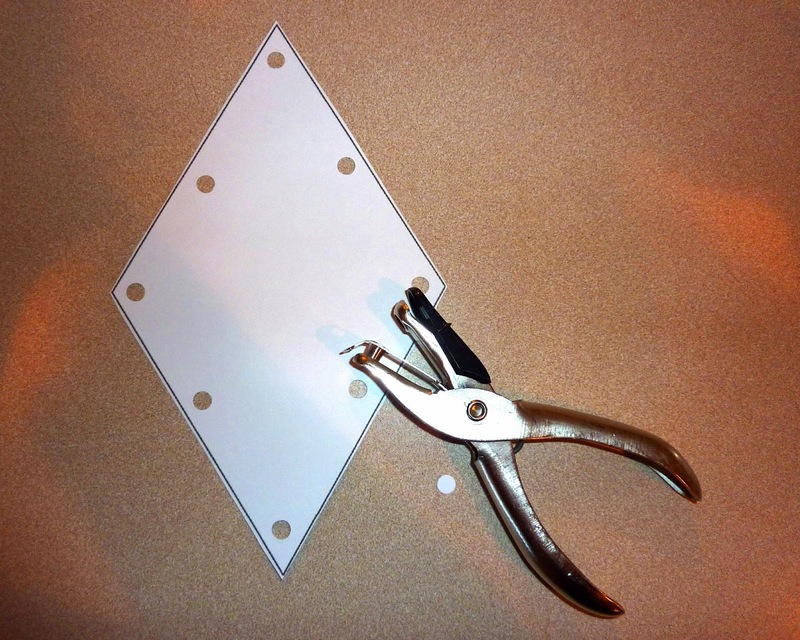 Cut out a diamond shape out of cardstock & punch holes around the edge. Click here for a free printable diamond template. Tie some yarn so there are two sides. One for the string of the kite & one to lace with. 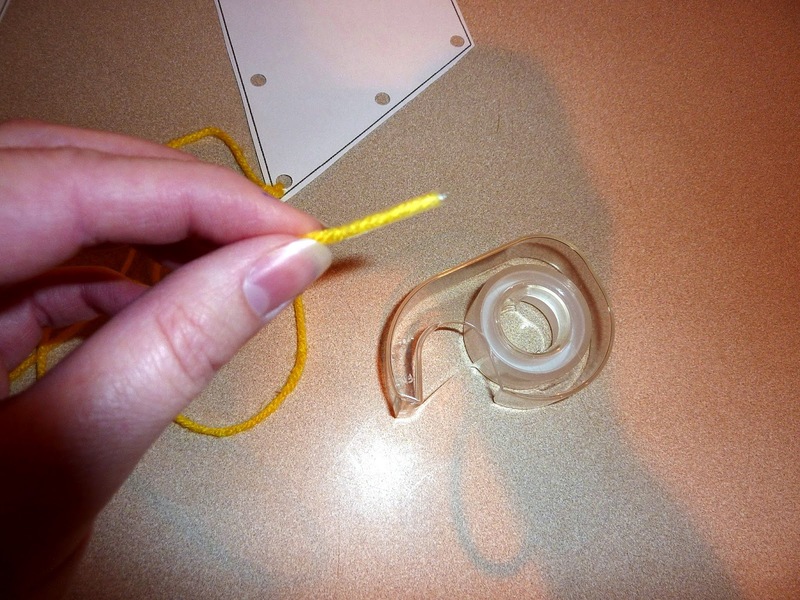 Make sure the lacing side is long enough to go around the outside of the diamond. You can buy lacing strings that come with a plastic edge, or, you can try my shortcut and wrap some tape around it. 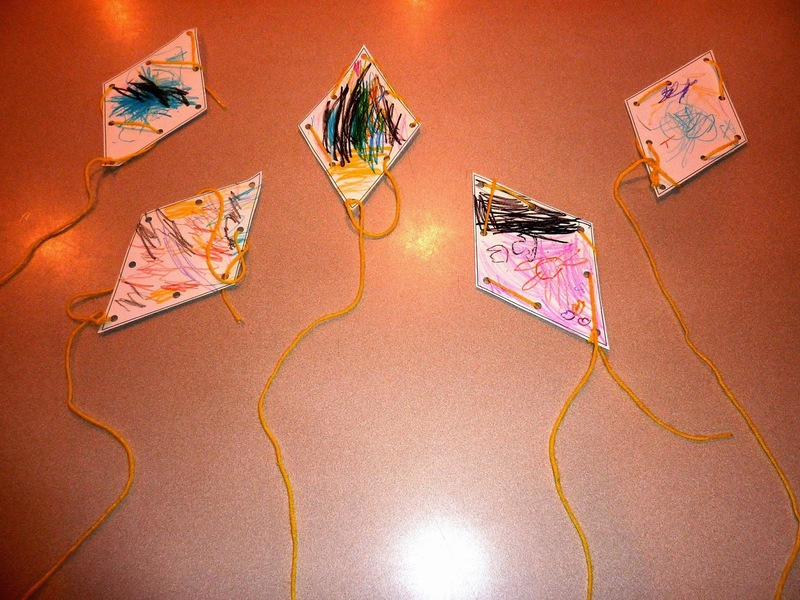 First the children lace the kite, then they decorate. The kids loved this art project! 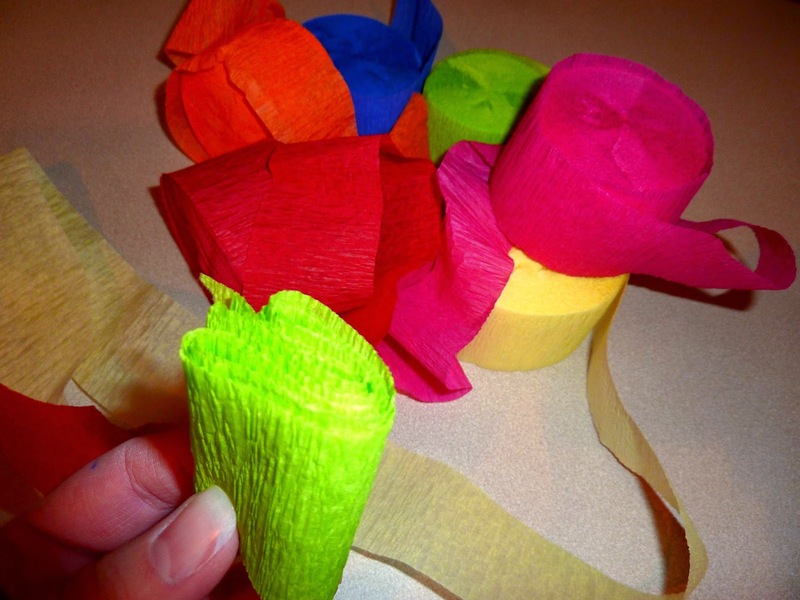 A trick to make this craft as painless as possible. 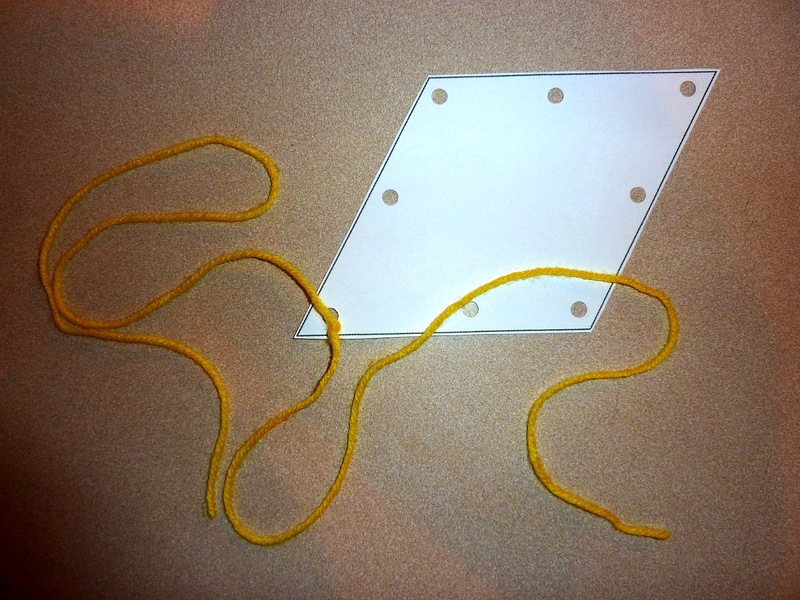 Fold your streamer in half over and over to get something like this. 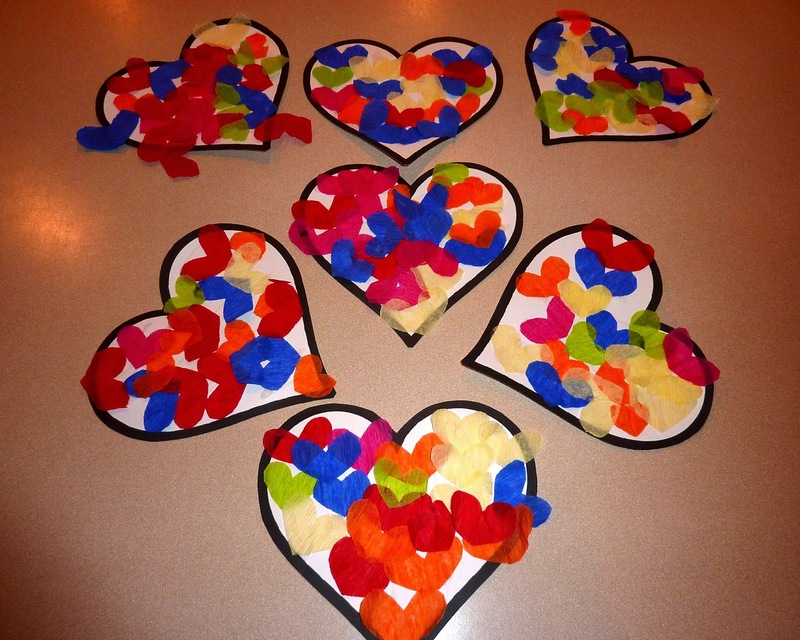 Cut out half a heart on the smooth edge and get a plethora of hearts. 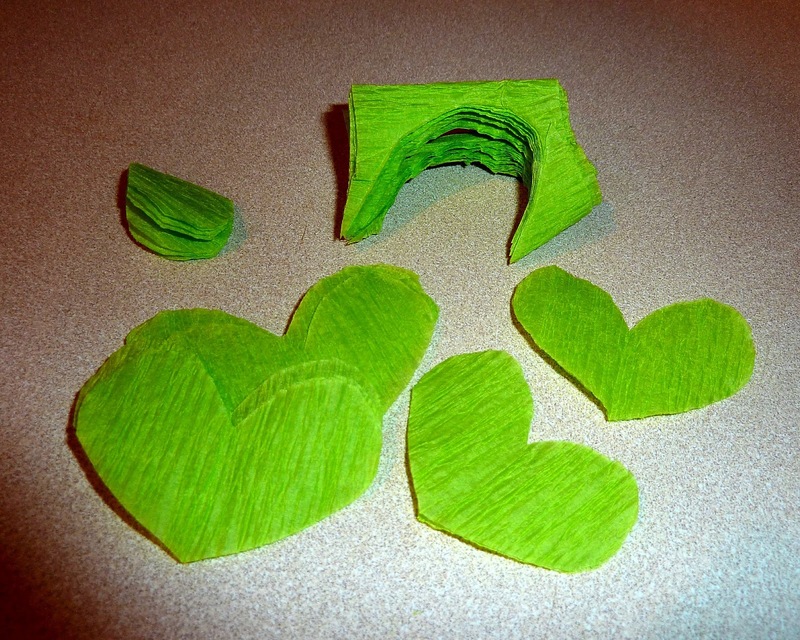 Cut a large heart out of cardstock. 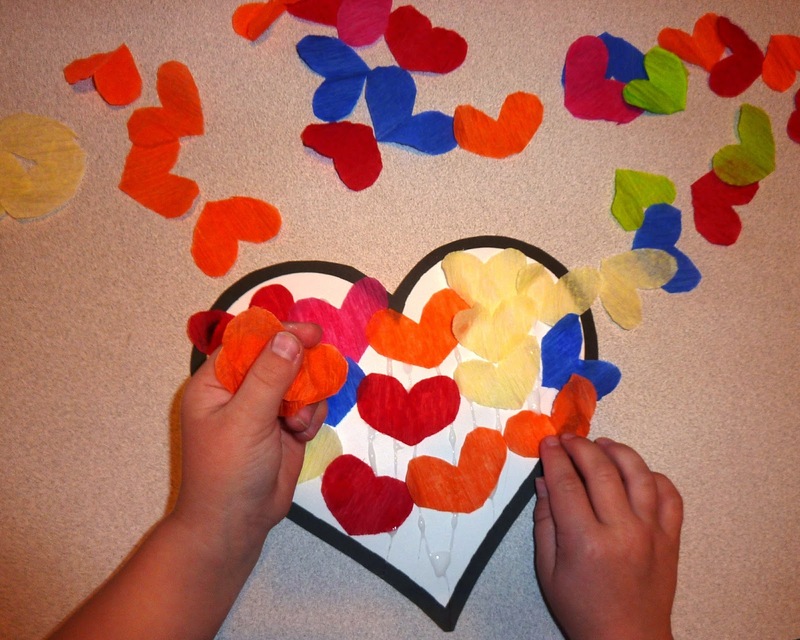 For this project I spread the glue all over the heart, & the children do the rest. Beautiful!! This would make a fabulous valentine!